November 7, 2018 By Tina M 1 Comment This post may contain affiliate links. Read my disclosure policy here. As I am finally 2 months into life with a newborn, I wanted to share a few tips for simplifying your life as a new mom (or moms in general). The “NEVER BUY ONE” rule: a more “seasoned” mother taught me this rule after the birth of my first child and I cannot praise this rule enough. It has totally changed my life. the principle is that if you have to buy something for your household, you are going to have to buy it again, so never buy one. Going to the store because you are out of something not only adds stress and chaos to your life, but it takes up your precious time. If you follow this rule, you will free up many HOURS in a month. Here’s an easy way to accomplish this: If you always buy at least 2 of everything, then once you run out of the 1st one, put it on your list for the next time you are at the store. This way you always have a backup, and you are never running out. Sign Up for a Club Membership: This goes along with tip #1, but if you have a club membership, you will also save money following tip #1, because you will be getting club member pricing on all your grocery essentials along with diapers and other baby essentials. And….Sam’s Club has a special right for a $20 gift card, as well as $25 in new member Instant Savings when you sign up for a membership. My friend was shocked the other day when I told her I hadn’t bought diapers or wipes (and many, many other things) in over 6 months. That’s because I follow rule #1 by having a “store” in my house. Keep in mind that with your Sam’s Club membership you don’t even need to go to the store to stock up, as many of these items (like diapers for example) also have free shipping. If your budget doesn’t allow for you to stock up for a bunch of items in one month, then make a list of things you need most and start by stocking up on just a couple of items each month. Maybe this month is diapers and next month is wipes (Here’s a link to the baby and toddler items to see what they have). Even if you already have a club membership somewhere else, it’s good to have one multiple places because they offer different items and different savings (Like the $20 gift card for Sam’s Club right now). If you aren’t sure if you will save enough, Sam’s Club offers a refund on your membership if you end up not being satisfied. Buy Gifts Ahead of Time. This tip has also saved me so many times! The upper part of my bedroom closet is dedicated to gifts for different occasions. I stocked up on gift bags and greeting cards (which you can do with your Sam’s Club membership) as well as gifts for different ages and occasions. Now when I am invited to a baby shower, or my kid has a last-minute birthday party, we don’t have to run to the store. We always have something. There have been many times that I have remembered last-minute about a baby shower and wouldn’t have had time to go to the store anyway. I simply walk to my closet, grab a cute baby outfit, and then go to my kid’s room and grab a new package of wipes (from my awesome stock up) to add to my gift. Hope these tips were helpful to you! What are your favorite tips for time management? 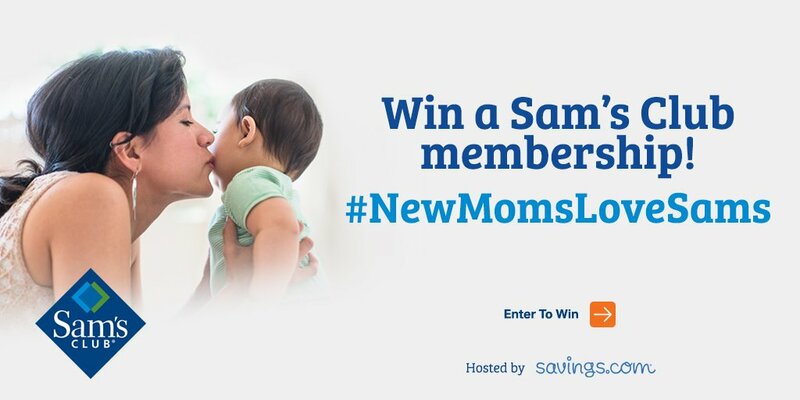 While you’re here, enter for a chance to win a Sam’s Club Membership! Nice tips! I already got my Christmas shopping done.